SO-SAGE is the new story invented by Sam Baron and Petite Friture. 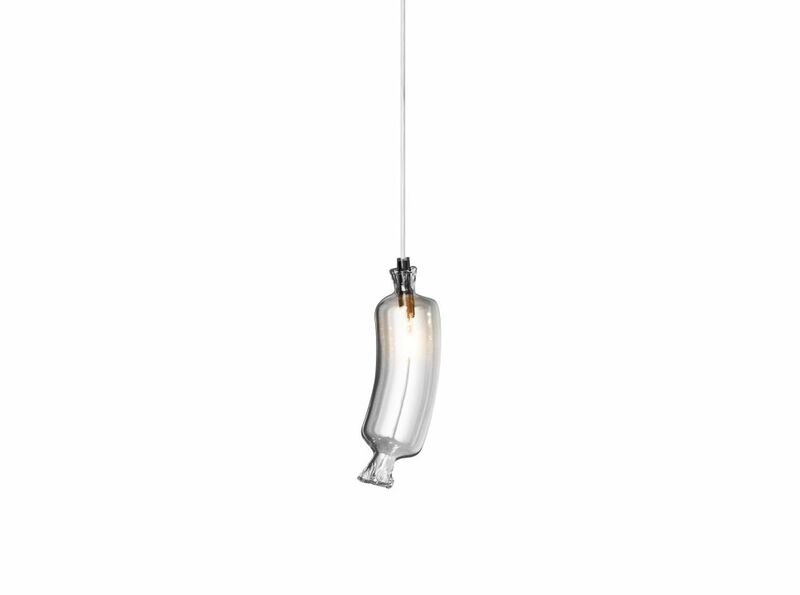 They appear like glass sausages hanging as they would in a traditional butchers, of different sizes and forms, that illuminate mischievously thanks to a levitating light. Each is unique. Created in borosilicate the SO-SAGE come in threes, fives and six or live their life as a lone sausage.